For parliamentarian Lagadapati Rajgopal, who is hitting headlines with his election surveys, became an easy target on the last day of electioneering. HYDERABAD: For parliamentarian Lagadapati Rajgopal, who is hitting headlines with his election surveys, became an easy target on the last day of electioneering. A day ago, Rajagopal, who is a former Congress leader, triggered controversy by claiming that his “survey” showed that People’s Front has an edge in the State. Following this, KT Rama Rao shared screen shots of his conversation with Rajagopal, which showed the latter claiming TRS has the edge in polls. This has now spiralled into an issue between the two sides. Clarifying his stand, Rajagopal claimed on Wednesday that his statement to KTR was made before the Congress and TDP came together and formed an alliance. Speaking about his message to KTR, Rajagopal said: “My analysis was based on the then prevailing mood... Praja Kutami had still not been formed. But now it is gaining momentum and can impact TRS prospects,” he explained. However, KTR termed the poll survey of Lagadapati Rajagopal as a “mind game” of TDP supremo N Chandrababu Naidu to confuse voters. 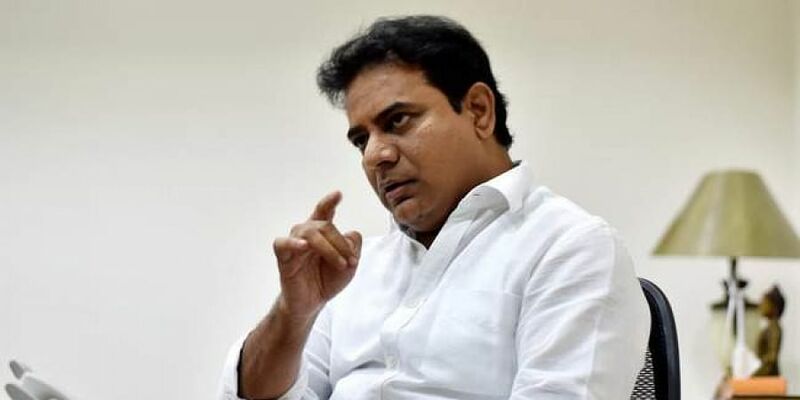 “We are super confident of hitting a century in the elections,” KTR said and claimed that Rajagopal had pulled a “similar trick” in 2014 against the YSRCP through his survey. On Twitter, Rama Rao tweeted, “Brother of Joseph Goebbels AKA CBN will make his cronies release more nonsense through his pet media houses and social media. Request all Telanganaites not to be confused or misled by the crooked propaganda (sic).” Speaking to the media, Rajagopal claimed he had met KTR on September 16-17 and the latter had sought for a survey. Senior TRS leader Kadiyam Srihari said Ladagapati Rajagopal was trying to mislead the people. Srihari alleged that Rajgopal ‘plays such mischief during every elections to get publicity. He said though there are clear EC guidelines, which prohibits poll survey after model code comes in to force, Rajagopal was announcing surveys. “I don’t know why EC is not taking action against him,” he wondered. Senior TRS leader and Karimnagar MP B Vinod Kumar on Wednesday claimed that AP Chief Minister and TDP chief N Chandrababu Naidu was the driving force behind Rajagopal’s ‘false’ surveys. He appealed to the people to not believe in such surveys and claimed that TRS was sure to get a thumping victory. Rajagopal wants the people to buy into this delusion that the People’s Front is capable of beating TRS.